Have you tried Pinterest yet? It’s the hottest new social media craze for sharing photos. Everyone is talking about it because it is so simple. Use your Twitter account or Facebook account to sign in to Pinterest.com. Create your first Boards, select your Categories to share and drag the Pin It bookmark to your Bookmark Toolbar. As you browse the web, just click on the Pin It bookmark to add it to your Board. Once on your Board, it is then viewable to other Pinterest members who are interested in the same categories. There are some limitations. Pinterest does not work with Facebook or any webpage displaying photos through Flash. Now, how can you use it? Well, Pinterest is a great way to get millions of new people to see your photos. 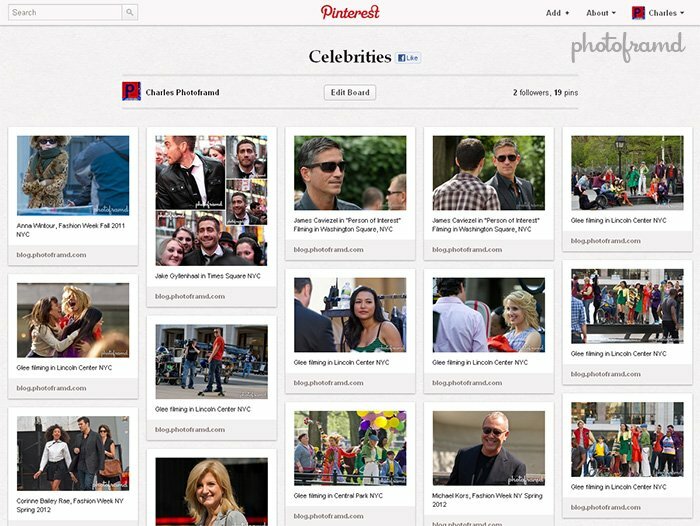 Considering even celebrities like Reese Witherspoon are addicted to it, Pinterest can really help publicize both your photos and YOU. Just build your Boards to showcase the types of Photography that you shoot and use Pin It to add them. For example, if you shoot weddings, you can create a Board which would stream to the “Wedding & Events” category. The photos are then added to the live stream for everyone that follows the same category as that Board like brides who are planning their wedding. Get it?? Viewers can then jump to your website by clicking on the enlarged photo (or click on your username to see your other Boards and Follow you). Since the viewer goes directly to the page which was “pinned,” this is also a great way to direct traffic to an e-commerce site. You can also Add images and even videos by clicking the Add+ button at the top of any Pinterest webpage. Just click the Add+ button and this pop-up will appear. 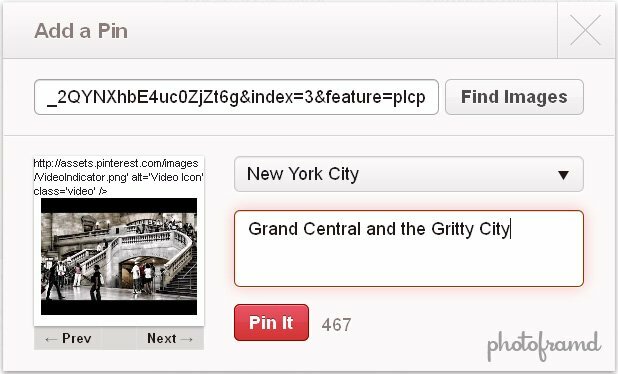 You can use Upload a Pin to upload photos directly to Pinterest. 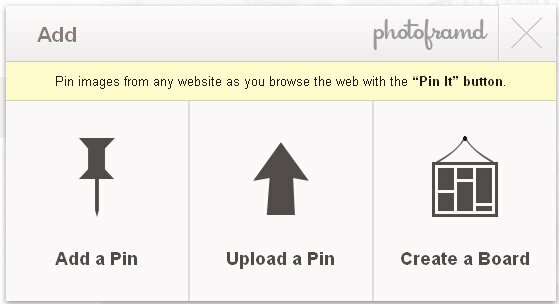 But, if you click the Add a Pin, you can have Pinterest scan a URL for images. This works very well for YouTube videos (which is important since the Pin It bookmark does not work on the YouTube page.) Pinterest will grab the YouTube thumbnail and allow you to put it into one of you Boards.